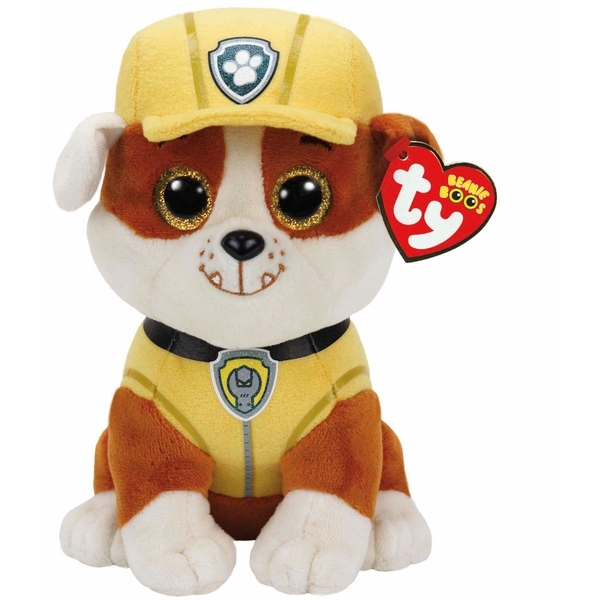 Ty Beanie Babies have a brand new collection to add to the hugely popular range - Paw Patrol! 6 of your favourite characters are available as a cute, high quality cuddly plush toy. Collect the Paw Patrol gang - Chase, Rubble, Marshall, Skye, Rocky and Zuma (each sold separately). EU Warning: Should be used under parental supervision as young children may not be aware of choking hazards.